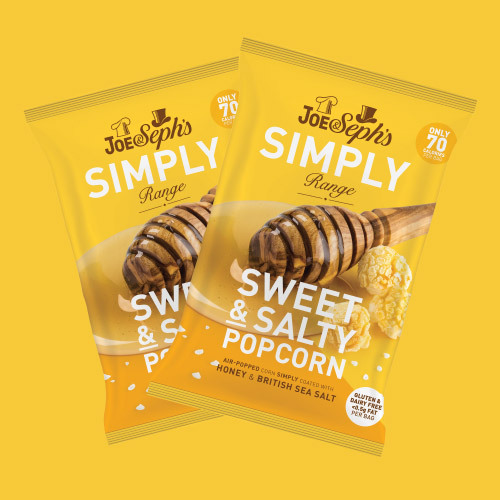 We’re proud to introduce to you Joe & Seph’s SIMPLY. It’s Simple; an on-the-go, everyday snack to tantalize your taste buds! 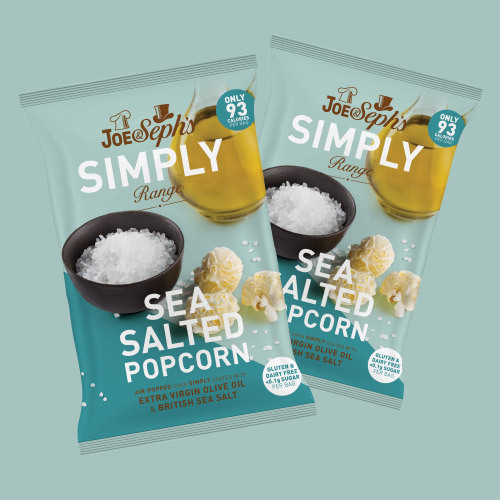 Joseph has been hard at work, lovingly creating two new popcorn flavours - SIMPLY Sweet & Salted and SIMPLY Sea Salted. Bringing a little luxury to the everyday, each pack contains less than 100 calories of perfectly popped corn and is completely free from dairy, gluten and refined sugar. So, whether it’s a cure for your 3pm slump, an addition to your lunchbox, or an accompaniment to your coffee, we can’t wait for you to try it. 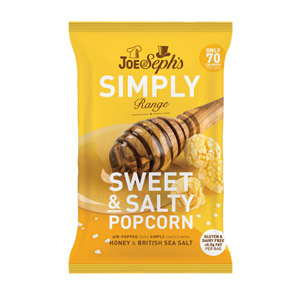 SIMPLY made with extra-large air-popped Corn, Honey (46%) & British Sea Salt (2%). That's it! 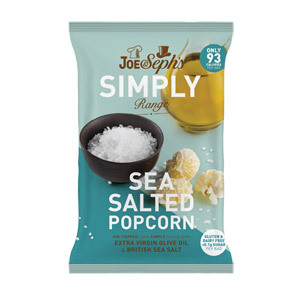 SIMPLY made with extra-large air-popped corn, Extra Virgin Olive Oil (40%) & British Sea Salt (2%)!